Hi people, The dates for the Mid-season and summer sales have been given to stores. The Mid-Season sale starts on 22nd July. This stylish silver cabinet is a blend of affordability, design and quality. It has a flag gate at the top for convenient opening. The mobility is super easy with the adjustable feet. This cabinet has hinged door with lock. 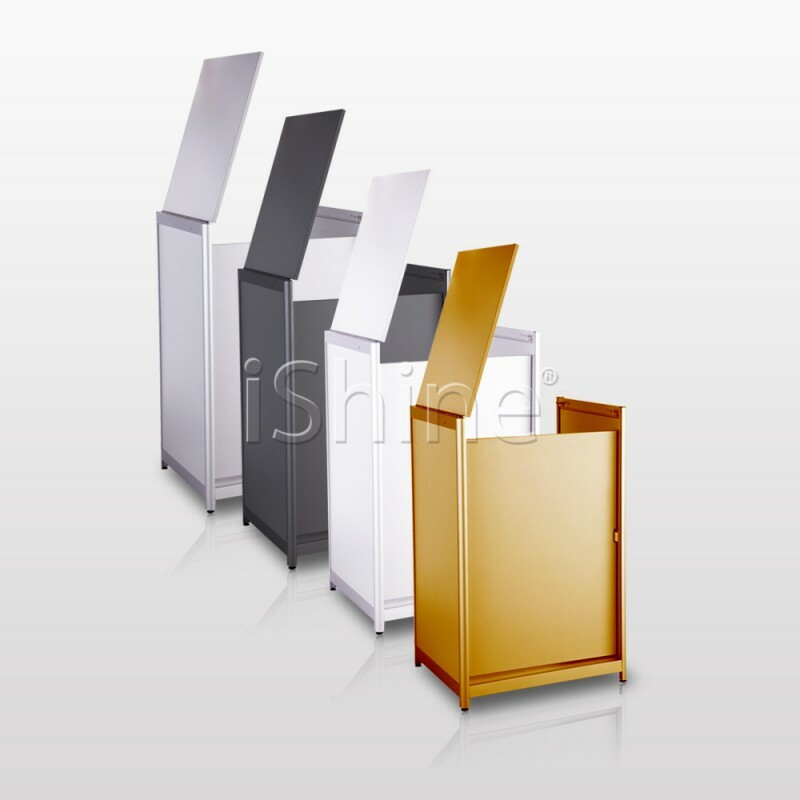 These aluminum cabinets with branding space are to meet our wide diverse range of customers. The cabinet is laminated with melamine along with aluminum. These cabinets are designed to help store easily. The cabinet comes in four graceful colors white, black, silver and gold. It is flat pack set per carton. We know our customers’ time is valuable and no one wants to waste their day figuring out the instructions, for that reason our units come fully assembled giving you a headache free experience. Additionally, our aluminum cabinets are supplied with exclusive Schmitz locks along with two sets of keys so you can be relaxed knowing your goods are safe and secured. The prices and quality that we offer are one purchase that you absolutely won’t feel guilty about. Our Lighting is adjustable to help direct light in whatever way you wish in the cabinet. LED Bulbs have an energy efficiency of 80%-90% when compared to standard lighting. This helps to save you money in the long term. LED Lighting can last up to 50,000 hours. This is about 5 years of continuous running. We also provide a 2 year warranty on these bulbs. LED Lighting has a higher brightness than standard bulbs, helping to highlight details within your products and help jewellery sparkle. LED lights are free of toxic materials and are 100% recyclable. The long operational lifetime span of one LED light can save material and production of up to 25 incandescent lights. LED is designed to focus its light and can be directed to a specific location without the use of an external reflector. There is also no flicker, buzz or hum to these lights. LED Lighting brightens up instantly and can be switched on and off constantly without the risk of damaging the bulbs. 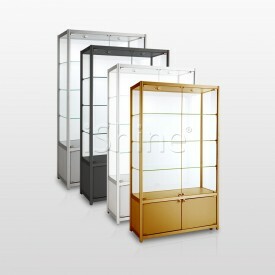 This stylish silver display cabinet is a complete blend of affordability, design, elegance and qu.. This graceful black display counter blends affordability, design and quality. This design of displ.. 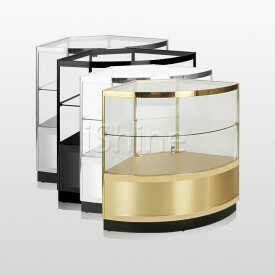 This stylish silver display counter blends affordability, design and quality. This design of displ..
Made with tempered glass panels	We know y.. Product Overview	Made with tempered glass panels	We know your time.. 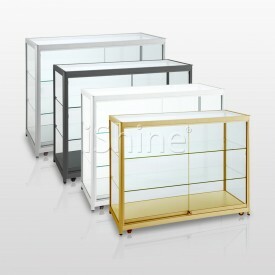 This stylish silver corner glass display is a blend of affordability, design and quality. It .. 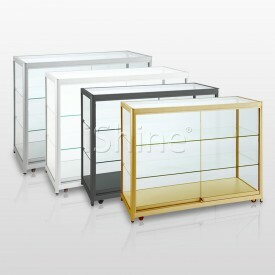 This stylish silver corner glass display is a blend of affordability, design and quality. It is a.. This stylish silver cabinet is a blend of affordability, design and quality. It has a flag gate a.. This stylish silver cabinet is a blend of affordability, design and quality. 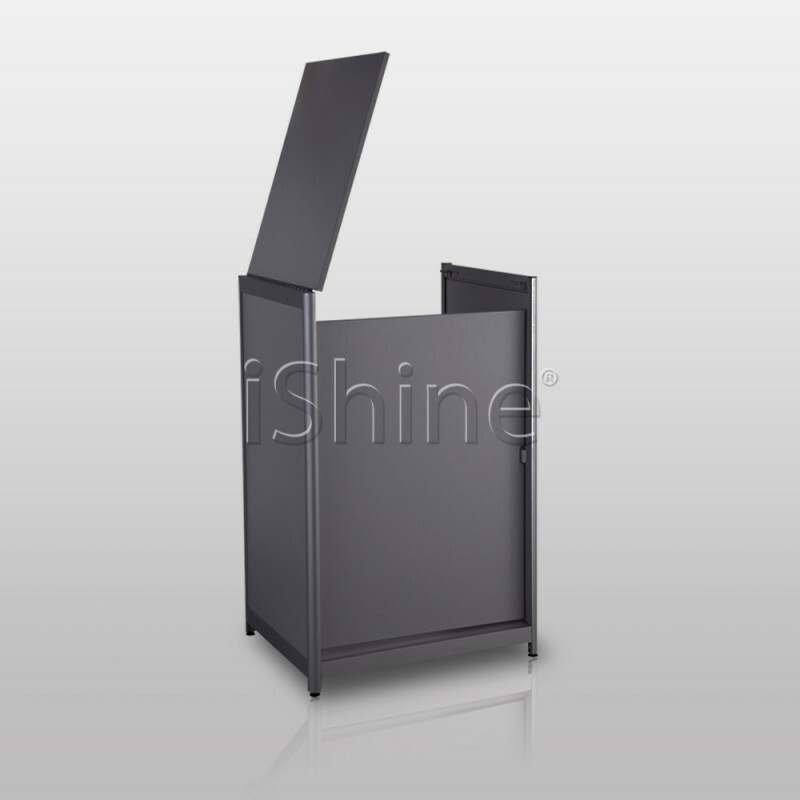 It has a flag ga..
iShine firm has three extensions, namely iShine Displays, iShine Salon and iShine Trade. Being UK's leading distributor of ‘Shop Fitting Accessories’, we work together with our customers and suppliers to offer a broad and innovative portfolio of products. © 2017 Ishine Shop. All rights Reserved. Design by Sitedirect.